Fireflies. " 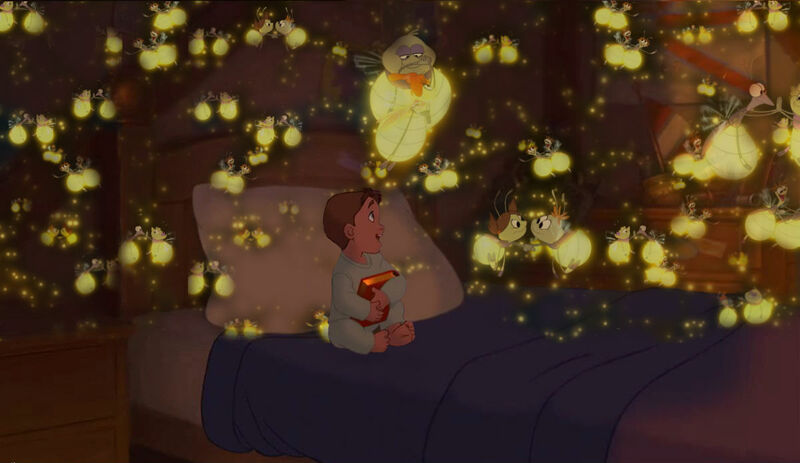 'Cause I'd get a thousand hugs, from ten thousand lightning bugs, as they tried to teach me how to dance, a foxtrot above my head, a chaussette hop beneath my bed..." -Owl City, Fireflies. HD Wallpaper and background images in the croisements Disney club tagged: disney crossovers treasure planet the princess and the frog owl city fireflies. This croisements Disney photo contains bouquet, corsage, posy, and nosegay.